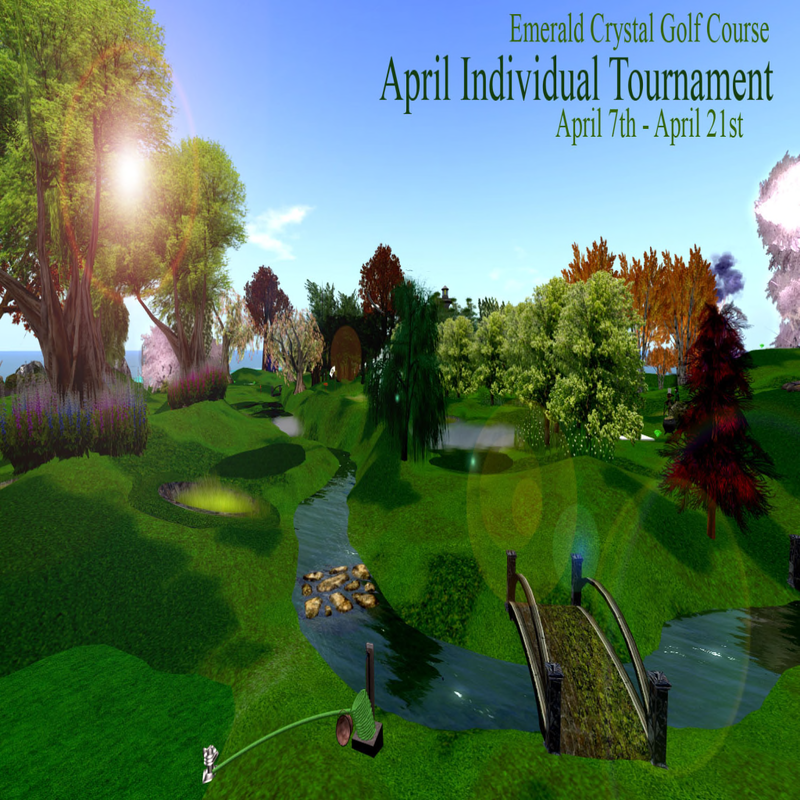 Hello Emerald Crystal golfers! Are you ready for another tournament? This month we are putting you on your own. For an ENTRY FEE of L$250, you will compete over 18 holes with the other entrants on an individual basis. We will be paying prize money to the lowest 5 scores this time around. Everyone must play with the wind activated. Play as many rounds as you like in the two-week period and submit your best score for an 18 hole round. The tournament will run from April 7 to April 21. You can enter by paying the entry fee either to Rafe Holder, Cloe Neiro or LittleOneSusan Teardrop. No score will be accepted or considered for the tournament until after the entry fee has been paid. No entries will be accepted after midnight SLT on April 19. Each participant must use the scorecard which is available at the Emerald Crystal course. The card has a reporting function which you can use to produce a record of your score to be submitted for the tournament. Go into menu and select Show Score. Copy (the print out on the screen at the end of your game) and paste it onto a note card and submit to any of us. Fair warning! I am pretty sure that Susan has changed some or all of the pin locations, so you will want to take at least one practice round. Good luck everyone!